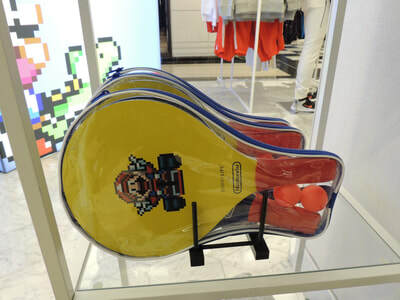 Bloomingdale’s spring collection of Nintendo-inspired clothing and lifestyle items is totally bringing the fun factor. With the 90s trend taking over the fashion industry right now with the embrace of bombers and scrunchies, the timing is perfect for the luxury department store to bring back Mario and his friends. 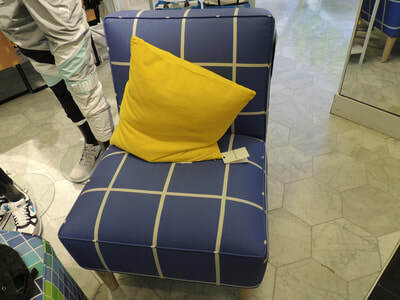 The line--which launched on March 10th--is equal parts chic and nostalgic, with subtle, clever nods to the old-school game. Some of the biggest names in fashion signed on to be a part of the collaboration, including Marc Jacobs, who created bags featuring Super Mario hues and checkered shoulder straps, and Kenneth Cole, who crafted white sneakers with pixelated hearts on them. 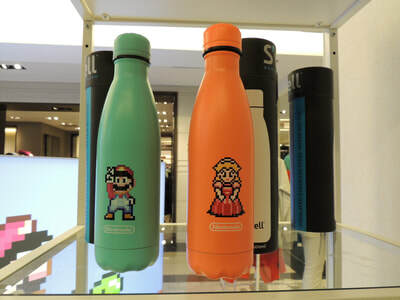 Not to mention, S’well--known for their stainless steel vacuum insulated water bottles--created custom bottles with Super Mario characters on them. Skinnydip London even designed Nintendo-inspired iPhone cases that read “Game Over.” And I can’t forget the Sugarfina candies made exclusively for Bloomingdale’s; customers take their pick from Strawberry Mushrooms, Yoshi Eggs, and Super Mario Clouds for the ultimate throwback treat.